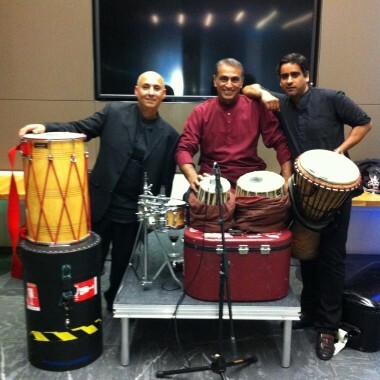 Energetic and powerful percussion band featuring musicians from Andrew Lloyd Webber's hit musical 'Bombay Dreams'. 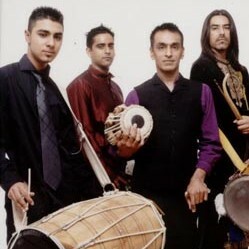 Energetic and powerful percussion band featuring musicians from Andrew Lloyd Webber’s hit musical ‘Bombay Dreams’. The two lead percussionists from the orchestra of Andrew Lloyd Webber’s hit musical Bombay Dreams have created a new energetic percussion band called Taala. 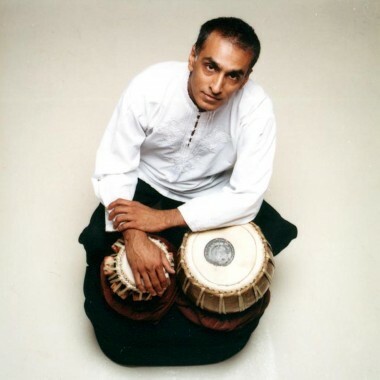 Founder member and internationally acclaimed virtuoso musician and proclaimed godfather of Bhangra Kuljit Bhamra joins fellow Bombay Dreamer Shan Chana, club-circuit drummer Ameet Jugnauth and talented dhol player Dilraj Bhamra. “Ever since the show opened, the audience have loved the powerful drumming and have been asking for more. So, we thought we’d create the ultimate drumming band and begin by taking this amazing sound on the road”, said Kuljit. Taala have toured to a wide range of festivals including the London Mela and are also on many occasions accompanied by some of the lead dancers from Bombay Dreams.